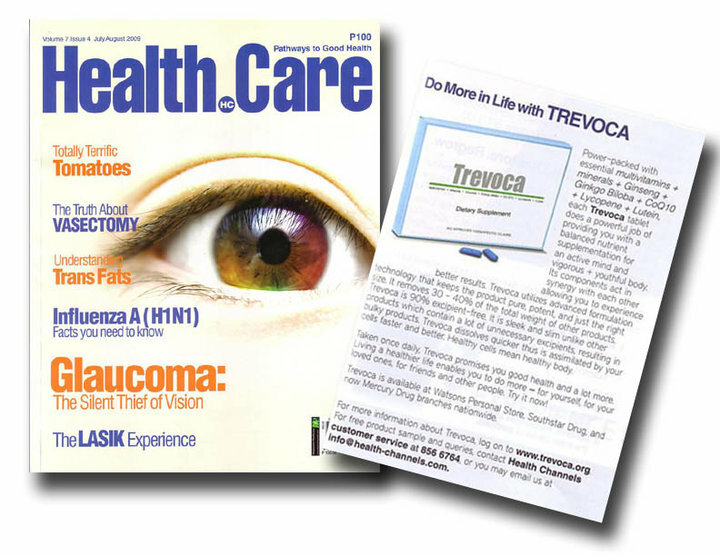 Do More in Life with Trevoca – Healthcare Magazine - August, 2009 Issue. Women, whether in the house or at work, are exposed to a lot of stressors. Raising children, doing housework, meeting deadlines and even just planning day-to-day activities may take its toll and rob women of precious energy that’ll keep them going. High in antioxidants that delay aging and help you maintain optimum health.